World Cup Mania 2015 will be your best buddy during the ICC World Cup 2015. This free app provides you the complete ICC Cricket World Cup 2015 schedule with date, day, timings (in local time, GMT & IST), teams playing and the venue. You can also check out the pools of teams and history of the World Cup. This app will keep you updated with the latest news during the World Cup that is slated to begin on the 14th of February, 2015. Once you install the app, you will also receive regular updates when the matches are being played, right from the toss information to score updates to match results. 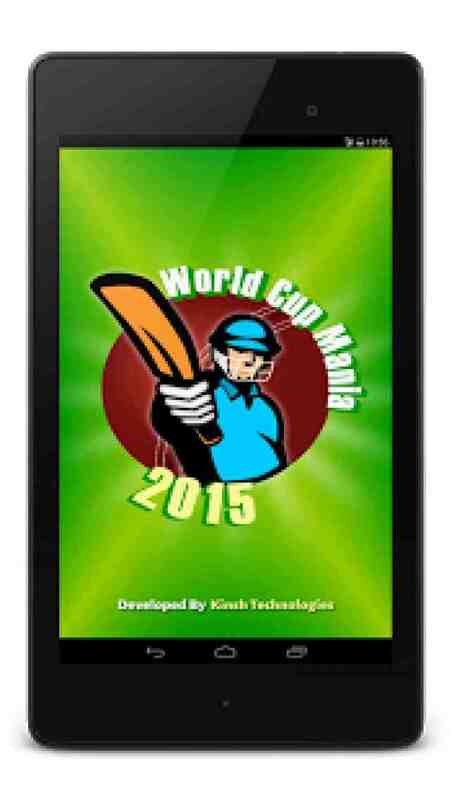 So, download this app and get ready for the ICC Cricket World Cup 2015. Kinsh technologies developing android intuitive apps.